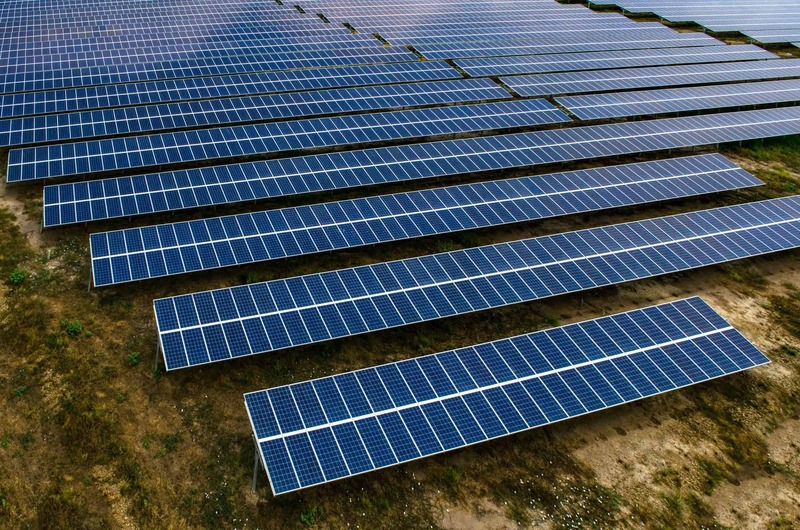 Shepparton solar – the regional Victoria town is going to follow the trend of councils going renewable and install solar power at some of their local facilities, the Greater Shepparton City Council voted this week. The jury’s still out on a number proposed solar farms in Shepparton which are being opposed by some. Shepparton solar – council investment. Council solar has been a hot topic over the past 12 months and it’s fantastic to see the Greater Shepparton City Council following suit – Renew Economy are reporting that at a council meeting last week a $225,500 contract to install solar panels on multiple council buildings had been awarded to True Value Solar from Melbourne. These five farms total more than $300m of investment and will produce over 250MW of power for the area – but not everybody is happy about it. We’ve heard the NIMBY argument about ‘prime agricultural land’ from ‘concerned residents’ before (remember Photon Energy’s Brewongle solar farm?) – so it’ll be interesting to see how this plays out in court. A spokesperson for Planning Minister Richard Wynne said the Department of Environment, Land, Water and Planning had prepared advice for the minister to consider, and he would make his ruling in due course. You can read more detailed information about the solar farm planning permit applications by clicking here. Tesla CEO Elon Musk has attended a Powerpack unveiling at Noeon Hornsdale wind farm in Jamestown, South Australia. The Tesla South Australia battery partnership has been the talk of the nation since it was announced back in July. The lithium-ion battery is now 50% complete and will be built within 100 days of 29 September. Tesla’s battery seeks to repair some of the energy security woes South Australia had to deal with – it will also help stabilise the grid while generators are started up (in the event of network issues / unexpected weather events). 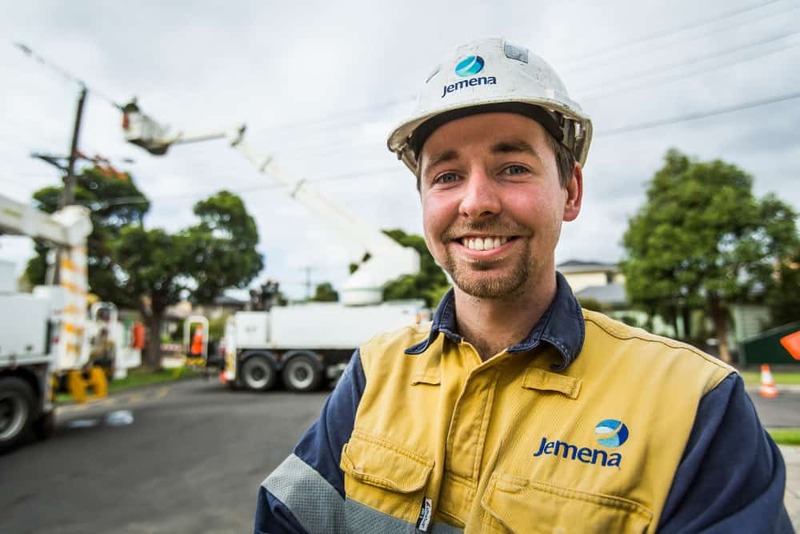 The Hornsdale Wind Farm signed a grid connection agreement with Electranet on September 29 and some of the Powerpack units were already operational. As per the initial agreement between Musk and the South Australian government, Tesla now has 100 days to complete the task or it’s free – so the clock is ticking! If you want to learn more about the Tesla Powerpack in Australia please follow the link where we discuss Tesla’s commercial/industrial grade lithium-ion battery storage offering in more detail. 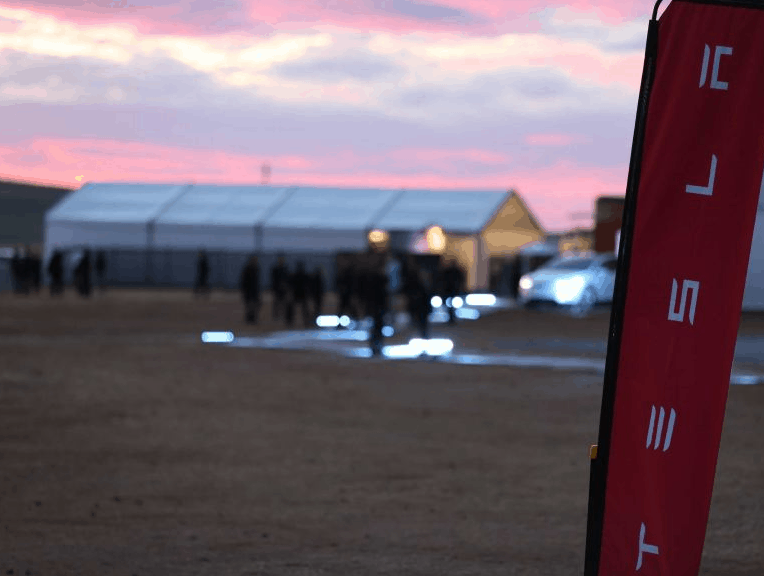 The party was held to celebrate the halfway point in the construction of their lithium-ion battery – Tesla invited politicians, local landowners and Tesla customers to a marquee overlooking the battery array, which is coming along nicely. “To have that [construction] done in two months … you can’t remodel your kitchen in that period of time,” Musk told the group with a broad smile on his face. 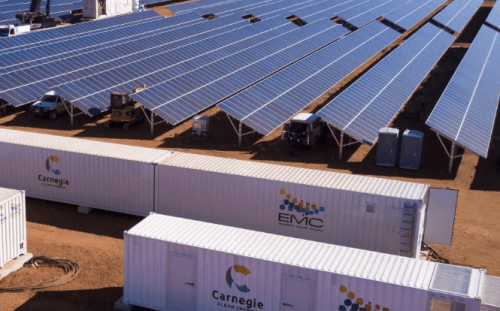 The event was powered entirely by Powerpack batteries – it’s really exciting to follow this process and we can’t wait for 100 days to be up and see the results this has on the South Australian energy security crisis. Youtube user ‘Video2045’ has kindly uploaded a video of Elon Musk’s speech at the Jonestown ‘Tesla Powerpack Celebration’ – you can view it by clicking below!